*2.1cm of fresh snow has fallen since yesterday morning and at 7:15am today the temperature was -4°C. A noticeably warm overcast morning with signs of spring starting to appear – we are expecting some sunshine after the mist burns off. 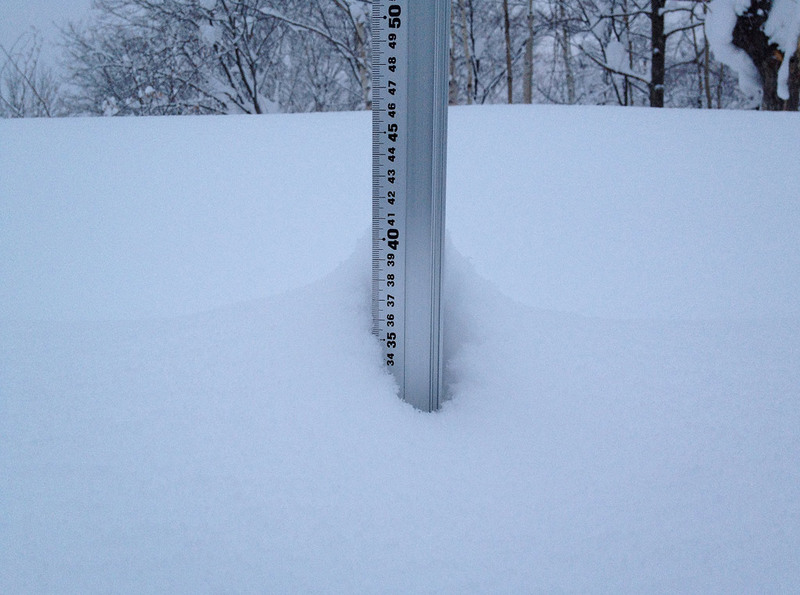 This morning will be a perfect to have some fun on the groomed runs, Niseko Mt. Resort Grand Hirafu is where we are heading today and will session Large Ni-Kabe and Kogen runs.Venturing off course down runs like and The Old Lift Line is not advisable although hiking the peak this morning may provide some nice photo opportunities. The incredible snowfall we are enjoying this season has also made daily life quite surreal at times with houses buried, streets turned into alley ways and hefty snow cornices hanging precariously from roofs – remember to look up especially in this warmer weather!